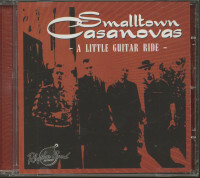 (Witchcraft) 4 track EP from the Smalltown Casnaovas from Munich, Bavaria, feauring four great 'Roadhouse Rockers'! 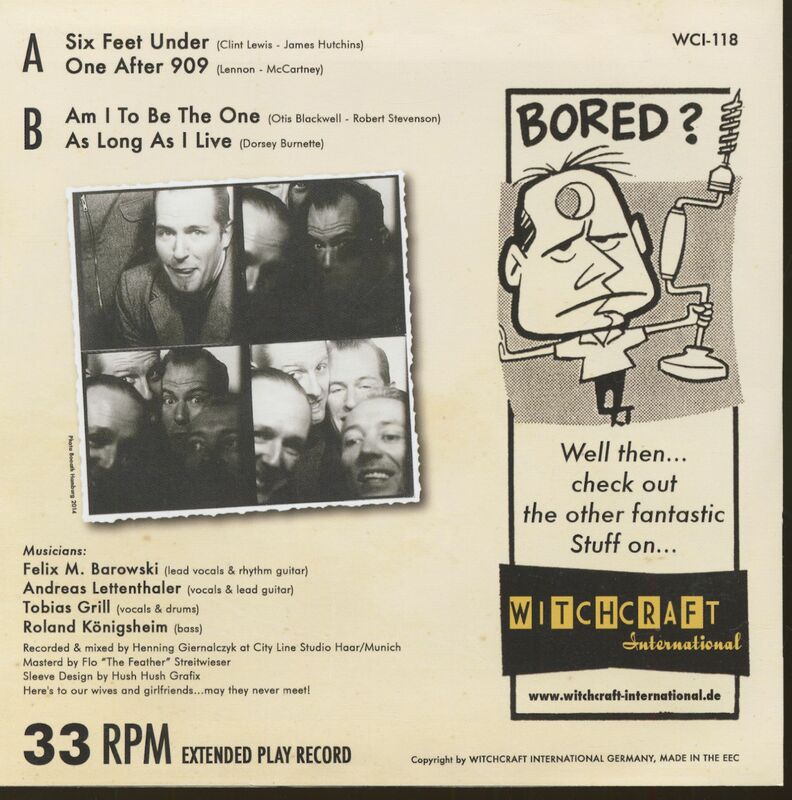 They are somewhere between Ronnie Dawson and the early Chris Isaak and listening to this great platter, is pure fun! Check also on their debut album from 2008 (CDRBR5685), which is still available! Make room for the Smalltown Casanovas! 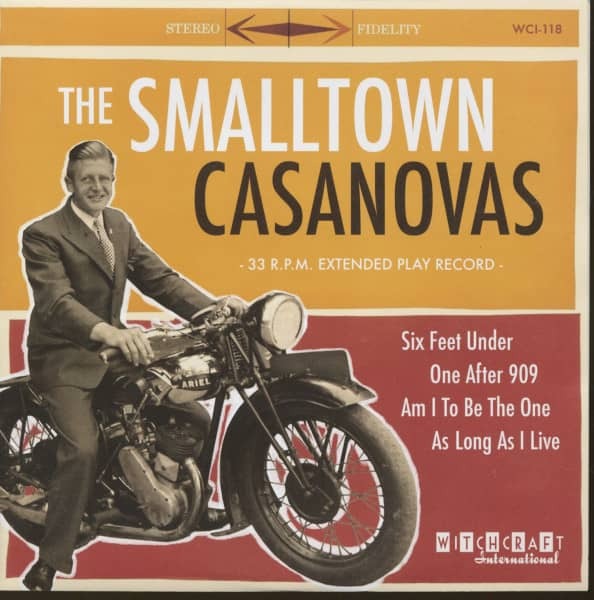 The Smalltown Casanovas are a 4-piece band dedicated to American roots music. With a healthy mixture of 50's oriented rock'n'roll, roadhouse, rhythm'n'blues, country and some rockabilly and ska influences the four rock their way through the clubs and festivals. Her debut album "A Little Guitar Ride" was released on Rhythm-Bomb Records London in September 2008. The four musicians met in Munich in 2007. 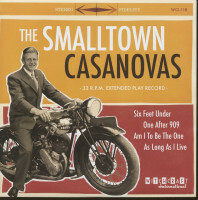 Customer evaluation for "The Smalltown Casanovas (7inch, 33rpm, EP, PS, sc)"